Key performance indicators (KPIs) provide measures of performance that are important to an organization, department, or even an individual. 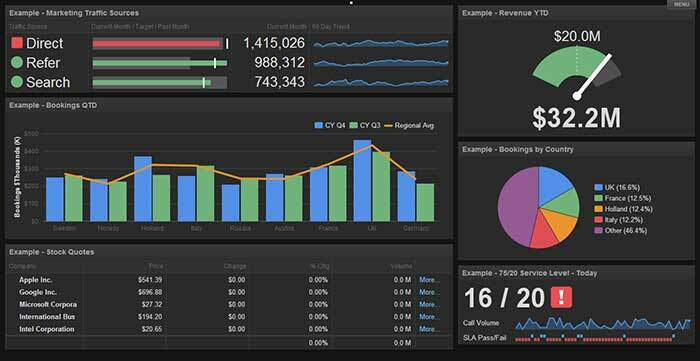 They are often represented on dashboards, where several KPIs can be seen together. Formats include a wide variety of charts including pie charts, histograms, dials, gauges, and even maps. KPI dashboard software varies considerably. 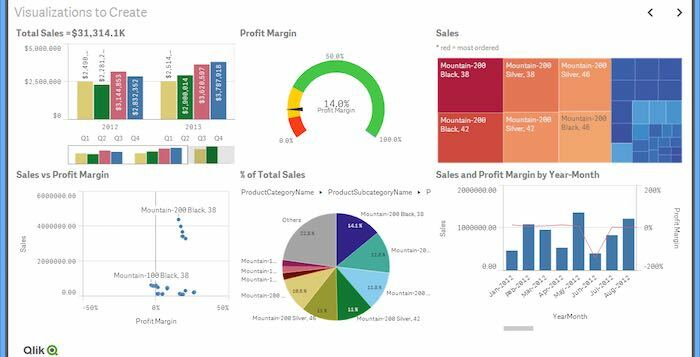 General purpose dashboard software from suppliers such as Qlik and Tableau are potentially more powerful, but are generally used as part of a larger business intelligence initiative. Specialized KPI platforms such as Bilbeo can provide specific KPI functionality, and may be more suitable for some organizations. There is nothing sacred about KPIs, they just need to cover the aspects of business operation that are important. Too many, and it is hard to get a clear picture, too few, and vital information will be overlooked. 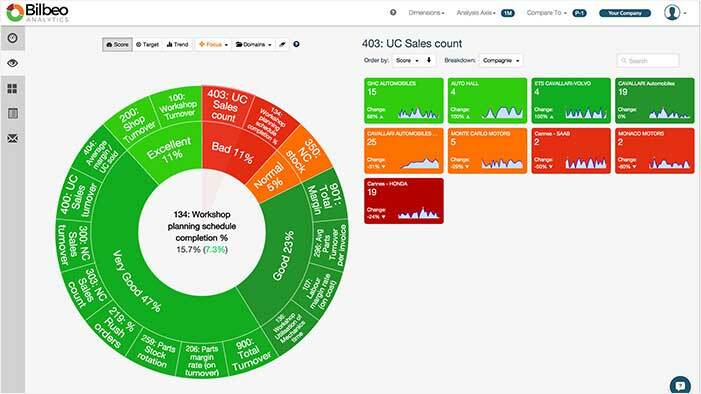 Bilbeo is perhaps the smartest KPI dashboard platform available. Cloud based service (on site options available) that predicts KPI performance and correlates KPIs to find leading indicators. API to access on-premises data sources, and alerts generated on KPI performance. KPIs rated from ‘Very Bad’ to ‘Excellent’ automatically, with drill down into individual KPIs. Pricing based on size of data and number of users. Bittle good value online service. Ideal for the SME with white labelling option. Collaboration features and mobile access. Connectors to many database sources, spreadsheets, online apps. Graphics library includes donut, pie, histogram, 3D, bar, gauge, funnel, maps, radar, treemap etc. Free single user subscription up to $600/mo for large data volumes. Cloud based dashboard platform with easy to use interface. Sophisticated features such as conditional output, pivot tables and complex calculations. Wide range of charts including maps, bar, pie, tables, line, dials, gauges etc. Connectors for database, spreadsheets, social data, online apps, and support for SQL if needed. Free single user version through to the Enterprise at just $50 per month. 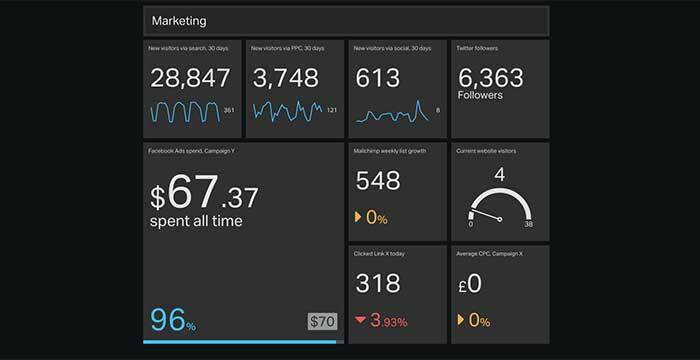 Dundas Dashboard – high end sophisticated dashboarding. Extensive collaboration features allowing comments to be attached to data points. Support for OLAP processing and complex metrics. Support for enterprise databases and applications. 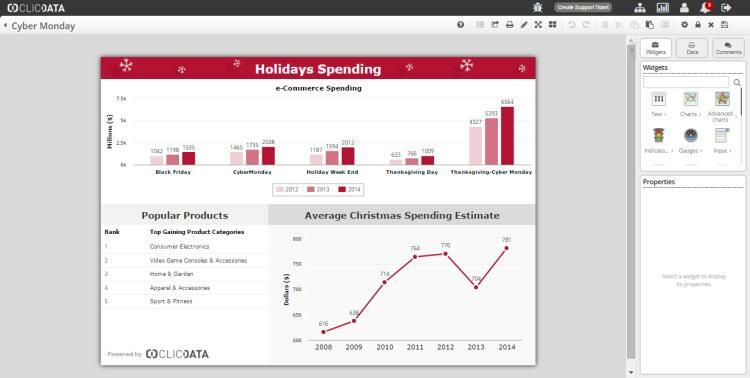 Above average visualization capabilities and part of broader BI suite. 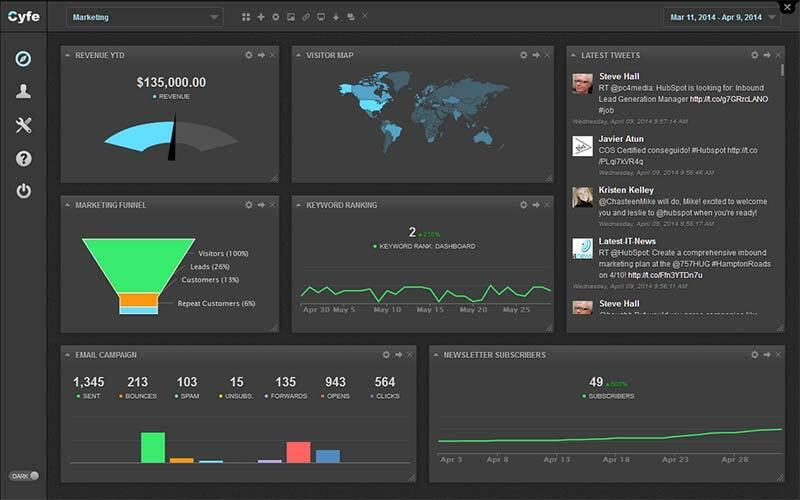 Cloud (or on-premises) dashboard platform with particularly attractive visuals. Data Integrator for blending data from multiple sources (databases, social, spreadsheet, web apps etc). 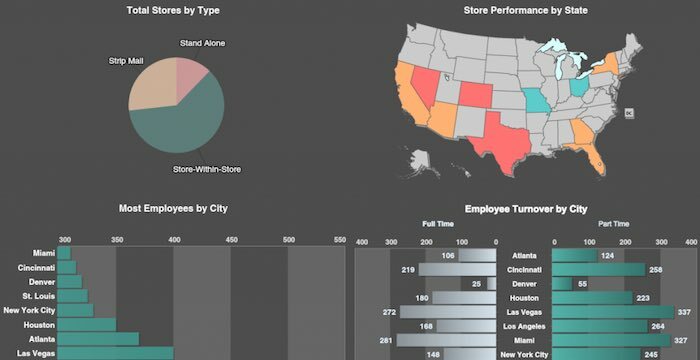 Drag and drop interface and full drill down into data from dashboards. Software includes project planning and scheduling with interactive Gantt charts, timesheets, resource management and team collaboration. 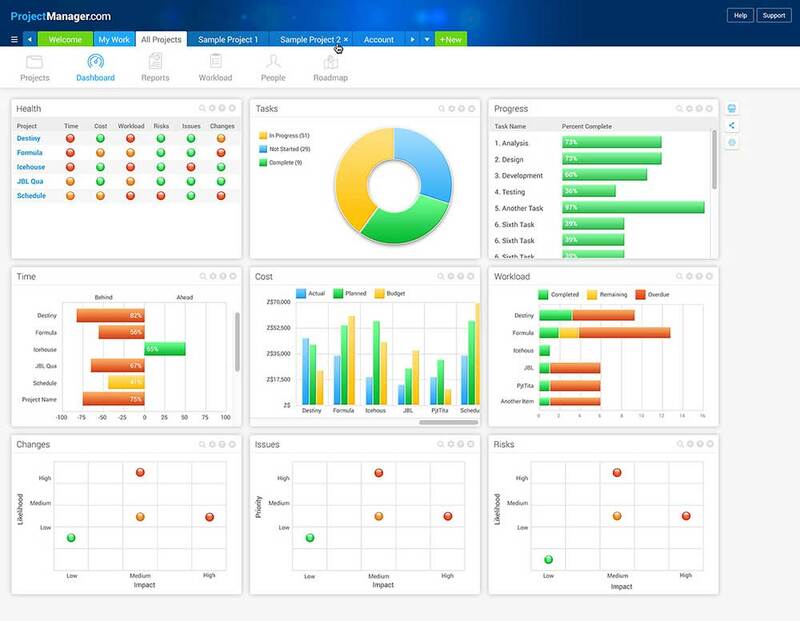 Very powerful desktop and enterprise dashboard and data visualization platform. Supports large number of data sources with an optional service for a large number of online data services. Associative engine makes combining data sources straight forward. Large number of chart types and can be extended if needed. Desktop version free with a free cloud dashboard sharing service. Enterprise edition requires server license. SimpleKPI – specifically targeted at KPI applications. 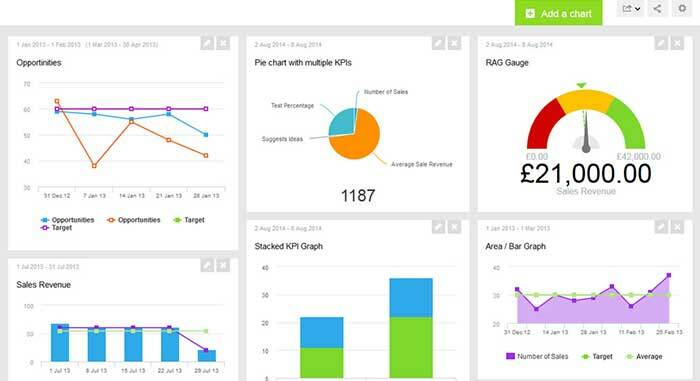 Complete suite of KPI apps for dashboards, reporting, analytics, tracking. Easy to use with pre-built templates. 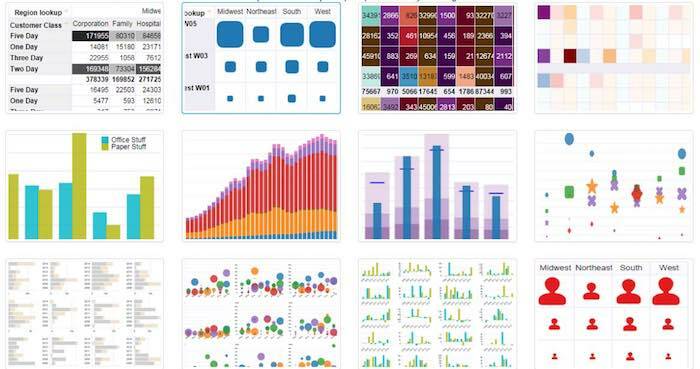 Supports most data sources and comes with a rich set of charts. £11/mo for a single user, £467 for 100 users and upward. 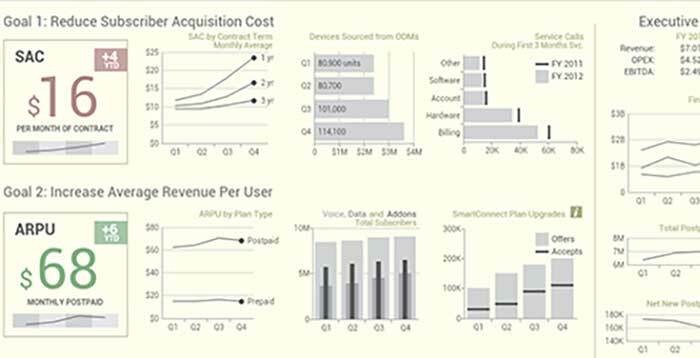 Tableau – rich graphics, cloud or on premises. Particularly rich graphics with desktop, server and cloud editions. Sharing, mobile and collaboration features. Fast in-memory processing for most data sets. Complete data visualization and discovery platform. Pricing based on number of users – typically around $2000 per seat.